A model of critical incident analysis has emerged over 15 years of collaboration. The model includes the event itself, the authorized interveners responsible for managing such events, and the larger community affected by the event. This larger community may be a nation, an industry or a society with its various customs and culture. Time-limited incidents rarely have the power to change a culture, but they often, in retrospect, symbolize a turning point or epitomize an epoch. The definition and meaning of critical incident therefore includes not just the event, but also the behaviors of those at the scene, the context in which it occurs, the impact beyond the theater of action, and the impact in the aftermath of the event. A critical incident may have consequences for days, week, months, years and even decades after the event itself has ended. How do aftermath dynamics fit with prevailing theories and concepts in critical incident analysis? Who are the stake-holders in aftermath dynamics? Are there stages of aftermath dynamics? These general and theoretical questions were examined in the abstract, and based on what is known by those who have experienced critical incidents. 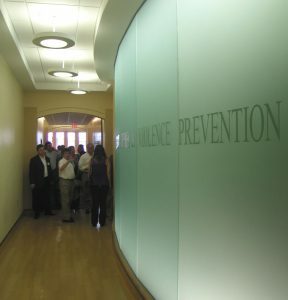 The conference took place at Virginia Tech to facilitate the assessment of concepts “through the lens of the Virginia Tech incident” as the conference title explains. Presentations based on other incidents, such as the World Trade Center attack and the Columbine shooting, also informed the deliberations of the conference.